I am writing this from Orlando, where the election may be decided. Thirty-eight percent of the state’s independent voters live in Central Florida along I-4. While I haven’t seen many yard signs, the airwaves are saturated with attack ads from John McCain and Barack Obama, as well as from two 527 groups, RightChange.com and American Issues Project. And I am just so fearful that this is not a man who sees America the way you and I see America, as the greatest force for good in the world. I'm afraid this is someone who sees America as “imperfect enough” to work with a former domestic terrorist who had targeted his own country. We will likely hear at least 28 half-truths, personal attacks, smears, and insults when Obama and McCain square off tonight in their second presidential debate. Lies, damn lies, and presidential politics. Are we there yet? A little over a month ago, Sarah Palin burst onto the national stage. While Palin’s Q score has shot through the roof, detractors continue to question her IQ. Tonight, Palin faces off with Joe Biden Gwen Ifill in the vice presidential debate. To be sure, neither Palin nor Biden is the brightest bulb in the box. But all eyes will be on Palin and Ifill to see whether they are up to the job. Palin’s selection was a game-changer, but her performance has been unsteady. So, the masters of distraction have rigged the pre-game show to make the performance of the moderator, Ifill, the issue. Republicans doubt Ifill’s impartiality because she has a forthcoming book, “The Breakthrough: Politics and Race in the Age of Obama,” which will be released on Inauguration Day. Clearly her books aren't going to do as well unless Obama wins, so it looks like she has some investment, literally, in one candidate or the other. And she's supposed to be sitting there as a neutral arbiter during the debate. I think the world of Gwen Ifill but I know there's a perception problem. But that just makes us work harder. It makes us want to communicate clearer and more profoundly with the electorate, letting them know what the contrasts are between these two tickets. It is motivating to me to me, eve, to hear Gwen's comments there, because, again, that will make us work that much harder and that provides even more fairness and objectivity and choices for the voters on November 4 if we try that much harder. The kerfuffle will make the normally even-handed Ifill treat Palin with kid gloves. Mission accomplished. A while back, Barack Obama supporters were outraged over his flip-flop on his promise to filibuster amendments to the Federal Intelligence Surveillance Act, which allows the government to spy on anyone, anywhere without a warrant. They railed against the invasion of privacy, loss of civil liberty and infringement of Fourth Amendment rights. A group of computer hackers said yesterday that they had accessed a Yahoo e-mail account of Alaska Gov. Sarah Palin, the Republican vice presidential nominee, publishing some of her private communications to expose what appeared to be her use of a personal account for government business. This is a shocking invasion of the Governor's privacy and a violation of law. The matter has been turned over to the appropriate authorities and we hope that anyone in possession of these emails will destroy them. We will have no further comment. Someone should get to the perpetrators and throw them under the bus. An FBI investigation is underway. In the meantime, the perpetrators should get help for their Palin Derangement Syndrome. And here’s a "little news flash": the negative attacks are not working. In a new Rasmussen poll, "Palin bests Joseph Biden 47% to 44% in a hypothetical head-to-head match-up for the presidency." Thirty-five percent have a "very favorable" opinion of Palin while only 23 percent feel warm and fuzzy about Biden. Truth be told, Palin is a lot like Obama. She is an online sensation who has captured the hearts of enthusiastic voters at massive rallies. In 47 days, we will know which one is the flash in the pan. But for now, Palin is the one who folks, including Tina Fey, are imitating. She's even become a fashion "eye-con." Shoot, I’m even pouffing up my hair more than usual. My choice for president this year is Senator Barack Obama. Why? Because he is simply better for this country and the world. I base my vote on the issues that matter most to me. A lot of you will do the same. There are others who will walk into the voting booth on November 4th and vote for or against the candidates because of race, age, and gender. That's called reality, whether you admit it or not. He's unfamiliar and he's associated with something other than me, other than my values and with all that stuff that's going on in the hood. I want to say this very quickly, they're not going to vote for this black guy. 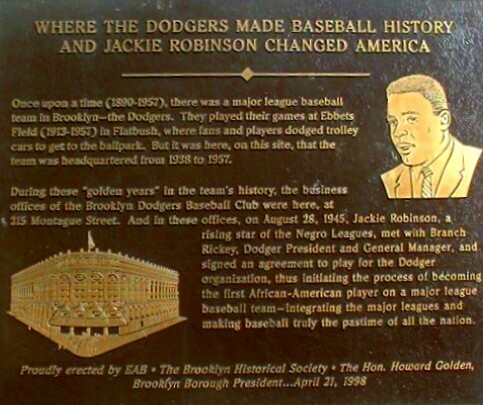 When Jackie Robinson broke through to Major League Baseball, Branch Rickey took a chance. He took a chance on an exemplary person. I don't think Barack Obama is that exemplary person. Obama should be 20 points ahead. Obviously it's race. There is no other issue. It's black and white…Everything is based on race. This is a race-based election. I don't see anything else. If Obama doesn't want to fight McCain, how is he going to fight Putin? I never throw the first punch, but I always throw the last. With the race tightening, Obama must land some punches PDQ. Otherwise Sarah Palin and her running mate, John McCain, may have the last laugh. In the 1970 blaxploitation film, “Cotton Comes to Harlem,” Godfrey Cambridge and Raymond St. Jacques played two detectives, Gravedigger Jones and Coffin Ed Johnson who went to Harlem looking for a bale of cotton that contained the life savings of some poor black people who had been ripped off. Yesterday, Barack Obama went to Harlem to meet with Bill Clinton. He hopes the Big Dog will bail him out of the sticky situation he’s in: sliding in national and battleground state polls. It was their first meeting since Hillary Clinton suspended her presidential campaign in June. Barack Obama plans to dispatch President Bill Clinton to deliver his newly sharpened economic message to voters in battleground states in an effort to counter a surge in popularity for the Republican ticket. Over a private lunch of take-out sandwiches and flat-bread pizza at Mr. Clinton's Harlem office, the two men discussed the state of the race, and the Illinois senator sought advice on driving home his economic pitch. President Clinton and Senator Obama had a great conversation in Harlem today. They discussed the campaign briefly, but mostly talked about how the world has changed since September 11, 2001. Sen. Obama praised the work of the Clinton Foundation around the world and President Clinton applauded Sen. Obama's historic campaign which has inspired millions around the country. They also spoke about what the next President can do to help make the economy work for all Americans, as it did under President Clinton, and ensure safety and prosperity far beyond the coming the election. President Clinton said he looks forward to campaigning for Senator Obama later this month. I've agreed to do a substantial number of things, whatever I'm asked to do. Yes, I know, Bill and Hillary got prime speaking roles in Denver. And yes, I know, the Clintons are difficult to deal with and probably hope Obama fails. Still, it’s Obama’s task to latch on to them, even against their will. But he was too proud. Although he’s going to see the former president this week, Obama should have broken bread with Bill months ago. Obama needs the Clintons to defend and work for him. With Georgia no longer on his mind and tattered coattails, Obama ain’t too proud to beg. With less than two months until Election Day, Barack Obama, who some thought could walk on water, is now treading water. Palinmania has disoriented the Obama campaign and sent his supporters into a panic mode. My inbox is flooded with “must-read” messages and rumors such as Palin’s pregnant daughter’s baby-daddy is black. The Obama campaign has released a video attacking Palin for being for the Bridge to Nowhere before she was against it. So, is Obama now against the egregious earmark? Mrs. Palin also killed the infamous Bridge to Nowhere in her own state. Yes, she once supported the project: But after witnessing the problems created by earmarks for her state and for the nation's budget, she did what others like me have done: She changed her position and saved taxpayers millions. Even the Alaska Democratic Party credits her with killing the bridge. When the Senate had its chance to stop the Bridge to Nowhere and transfer the money to Katrina rebuilding, Messrs. Obama and Biden voted for the $223 million earmark, siding with the old boys' club in the Senate. And to date, they still have not publicly renounced their support for the infamous earmark. The efforts to dismiss the first Republican female vice-presidential nominee as little more than “lipstick on a pig” brings to mind a truism: a drowning man will grab a razor blade. Sarah Palin and her running mate, John McCain, are in Pennsylvania today for a “Road to Victory Rally” at Franklin & Marshall College in Lancaster. For the first time in the three months since the general election campaign began, John McCain last week generated more coverage than Barack Obama. But he was still outshone by another newsmaker during the GOP convention—his own running mate. Sarah Palin, the first woman on a Republican ticket, was the focus of feverish attention as the media tried to find out more about her, convey her record and biography, and calculate her impact on the race. Much of the shift toward McCain stems from gains among white women, voters his team hoped to sway with the pick of Alaska Gov. Sarah Palin as his vice presidential candidate. White women shifted from an eight-point pre-convention edge for Obama to a 12-point McCain advantage now. For now, the CW has McCain soaring and Obama slumping, just another rookie phenom fading in the stretch. So once the GOP's post-convention bounce and Palinmania subside - and they will - how does Obama get the mojo back? By sticking to his blueprint, painting McCain as a third Bush term, relentlessly hammering home bread-and-butter economic issues - and a debate performance on Sept. 26 as compelling as his Denver acceptance speech. Obama has 56 days to get his mojo back. It remains an open question whether he can.